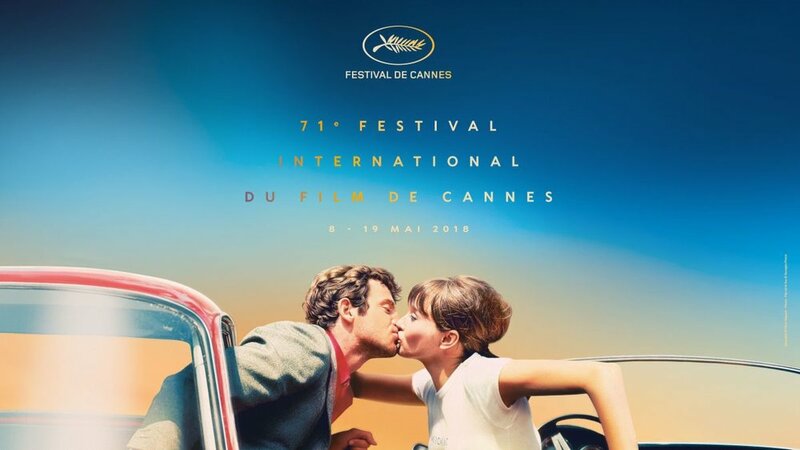 If you’ve been reading my newsletter for a while, you know how much of a fan of the Cannes festival I am…so there was no way I was going to miss this opportunity! Here’s to some of the best international Cannes festival Palme d’Or award winners eveeer! The movies I’ve chosen this month have two things in common (on top of being Cannes Festival award winners): They have an incredibly honest approach to life and the human kind, and they focus on strong relationships, something I regrefully see in less and less movies. They don’t emphasize or embellish the things of life, and they deliver the crude, sometimes cruel, truth. It ain’t always pretty, but it’s so beautiful! BLUE IS THE WARMEST COLOR - My all times favorite movie: love and solitude, honesty and truth about the human condition, a political movie as well as an aesthetic manifesto. Not only was Blue is the Warmest Color by Abdellatif Kechiche awarded Palme d’Or at the 2013 Cannes Festival, but it was also the first and only movie ever to receive not one, not two, but three Palme d’Or, as the jury considered the masterpiece wouldn’t have been possible without the work from actresses Adele Exarchopoulos and Emma Seydoux. 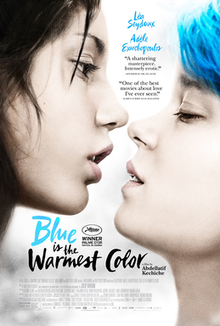 My favorite movie of all times, I like to look at Blue is the Warmest Color as the ultimate coming of age movie. Tunisian-French director Abdellatif Kechiche is a master of capturing the depth of feelings and this time, it’s all about love. However what makes Blue is the Warmest Color so incredible – besides its poetic esthetics – is the exploration of a young woman (Adele)’s evolution throughout her love story. Not only does she have to deal with being a lesbian, but on a more universal level, she has to deal with who she is, bottom line. And although the issues led by self-exploration aren’t always as obvious as dealing with an emerging lesbian sexuality, having to deal with one’s truth is always a path full of obstacles and calling for resistance, denial and suffering. This is what Blue is the Warmest Color deeply explores, and this is what makes this movie a masterpiece. If you can’t stand the color blue, this movie isn’t for you! Kusturica is at it again: Tears and laughers, dark human motives, lust, mafia, betrayal, music and excentricity! Emir Kusturica’s movies are always an incredible breath of fresh air within the movie industry. The world acclaimed Serbian director won two Palme d’Or, one for Undergroung in 1995, and his first for When Father Was Away on Business in 1985. Be it in these movies or in Black Cat, White cat, Time of the Gypsies, etc. there is always this very special atmosphere, full of Balkan upbeat music, excentric mafia-like characters and incredible funk! 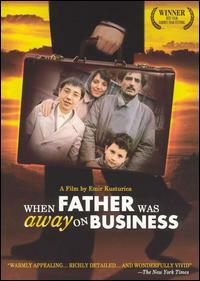 When Father Was Away on Business is an older and seemingly darker movie, which properly revealed Kusturica internationally. 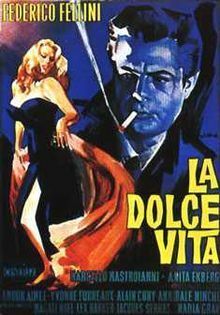 In this sense, it really differs from the rest of his work, however I absolutely love this movie thanks for the intensity of the relationships and the full dimension that every character has. I also adore how Kusturica never shies away from painting crude realities and the notions of desire, masculinity, lust and power trips, all of this without being disrespectful or provocative…and with his ever-lasting trademark humor! - The action takes place in 1950s Yougoslavia, so that doesn’t set the most fun initial environment. A cultural milestone and a courageous approach to the question of love, age and death. Austrian director Michael Haneke’s received his second Psalme d’Or for Amour, a French- speaking movies staring Jean-Louis Trintignant and Emmanuelle Riva, two of French cinema’s most respected actors. Their performance was so acclaimed that Emmanuelle Riva received an Academy Award nomination for Best Actress. Jennifer Lawrence eventually won the award that year, but that choice is still a big controversy on the web! Amour however, did win the Academy Award for Best Foreign Language Film. The movie follows 80+ Georges and his wife Anne facing the degradation of Anne, who rapidly moves from alert elder to a demented, half-paralysed person. A movie about Love (after all, it is called Amour), Amour stuns by its subtle depiction of the ordinary tragedy of aging and eventually dying. This movie is extremely important as a cultural milestone: in the future, people will probably look at it as a reference to the debates society used to go through when it came to dealing with terminal illness and taking care of relatives. I- As often with Cannes movies, don’t except so much action! If you're curious about other Cannes Film Festival award winners from around the world, here's a full list by country. If you enjoyed the article or if you think I should have included some other movies, let me know on my Facebook page! My top Shakespeare film adaptations: Ran by Akira Kurosawa, Omkara by Vishal Bhardwaj and Romeo+Juliet by Baz Luhrmann. I't’s that time of the year! As the Cannes festival starts, have a look at some of the best former Palme d’Or winners! Learn about South Africa's film production: from ground-breaking contemporary to all-times classics.